Ailsa’s travel-themed photo challenge this week is Transportation. 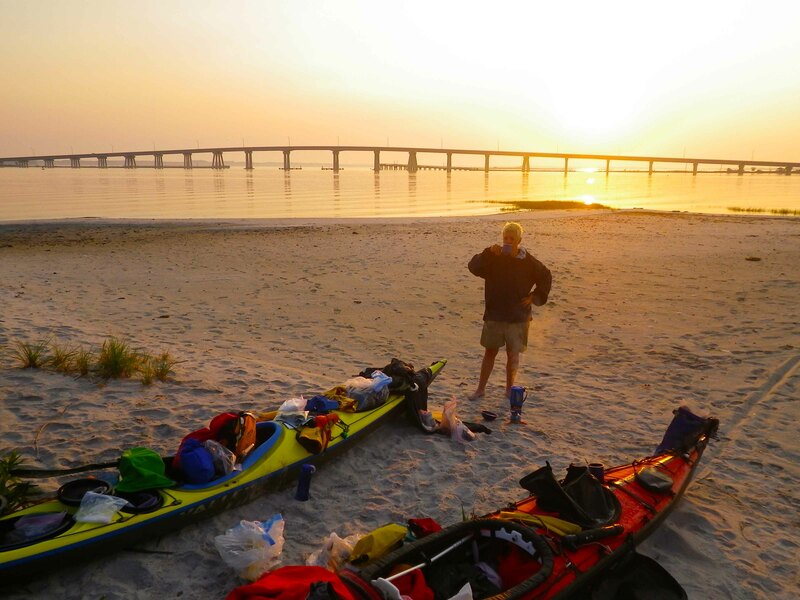 This entry was posted in Kayaking, Photography and tagged Kayak Camping, Kayak Expeditions, Photography, postaday, postaweek, postaweek2012, Sea Kayaking, Transportation, Travel, Weekly Photo Challenge. Bookmark the permalink. Wow! That is a lot of stuff in your kayak. Did someone yell, “Man overboard!”? I never realized you can pack that much stuff on a kayak! Wow! Wow indeed! We can, but as Vlad says, sometimes we wish we hadn’t… Next trip, we’re taking a lot less….! It’s amazing you can fit it all in. I like the shot of the gentle sunrise and the man drinking coffee. What a lovely way to start a day. And yes, fresh hot coffee is one of the joys of paddling… although I’ll admit we use Starbucks’ Via (powdered that tastes almost like the real thing, and has plenty of caffeine). Takes some serious packing… Two handsome Transportations! The lats image says a lot about your day. Super photos, but that last one, WHOA! Love the sun on the water. What fantastic photos – makes me want to be there. I am amazed at your comment about the folding bike in a kayak – that would be double transportation! 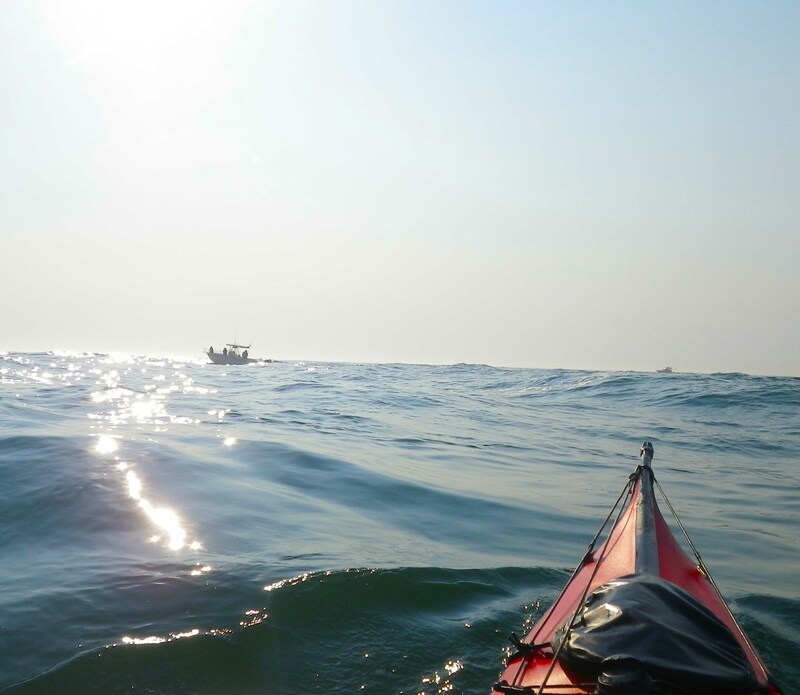 There is something about seeing that picture of the deck of the kayak on the water that is so right. It is such an immediately recognizable image—much like how a child’s simple line drawing of a cottage with a smoking chimney means “home”. I always knew it had to be a lot of work but we LOVE your pictures! I’ve always had a kayak, and two loads of gear. Or a canoe and two loads of gear. A house, and to much stuff! wow you get a lot in that kayak. You must be very organized and good at packing! 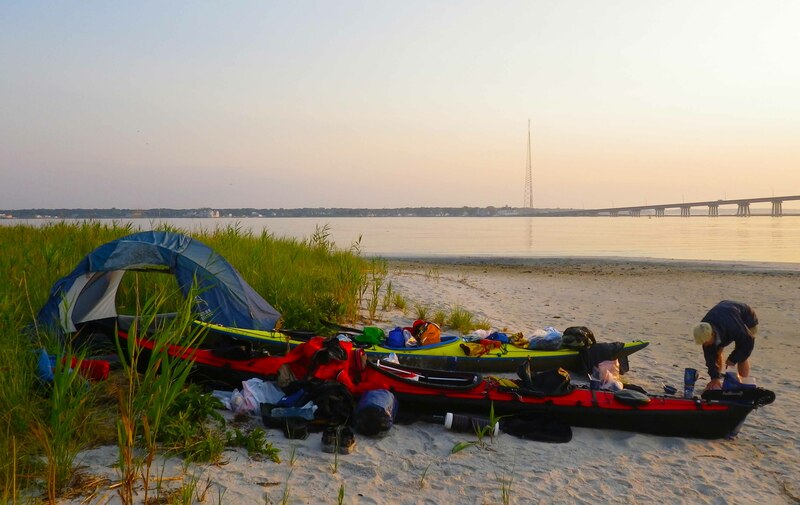 Wow – I need to take a few notes on your packing….my last overnight kayak adventure was not so well organized. Hoping for a big one next year…will need to be better organized, that is for sure. Wow, you really take your color with you! I love the shot of Johna with the kayaks, all neutrals of sand and sky, and then the riotous color of the boats and belongings. It’s impressive when you can combine a little information with great photos – not one or the other, or one taking the back seat. Blown up, the third picture is really terrific. thanks! 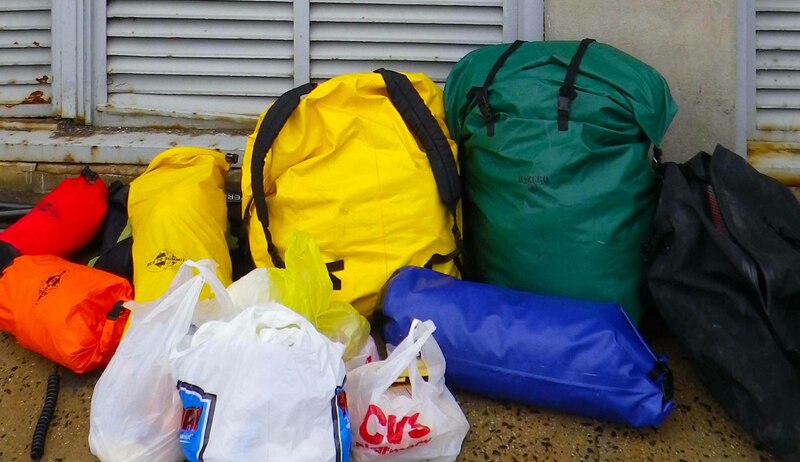 We didn’t really either, until we found out the hard way… although overpacking is certainly preferable to underpacking!